Yiouvetsi dishes are most often made with chunks of meat - beef and lamb are the most popular, but this recipe with ground lamb is a delight and easier on the budget. Yiouvetsi is a type of pot used in Greece, but this can be made in any oven-proof baking dish or pan. 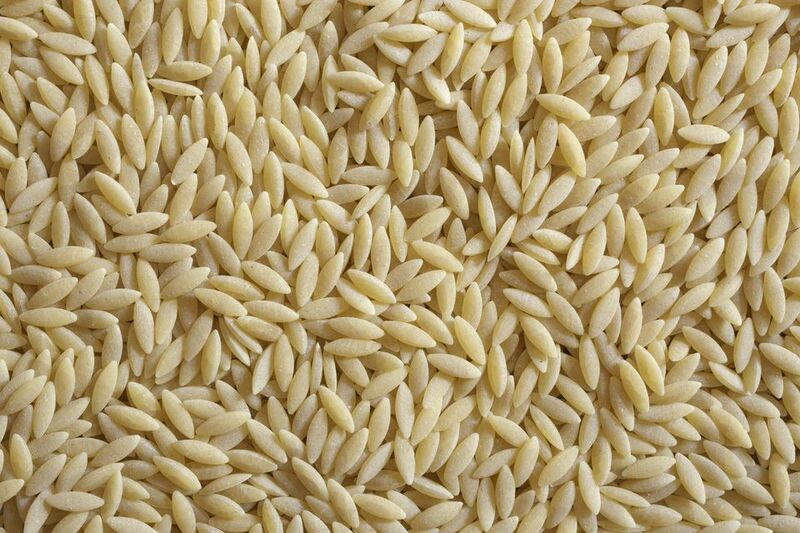 The recipe calls for the traditional kritharaki (orzo pasta), but works well with other types of pasta. When meat is browned just to the point where it doesn't look red, transfer to a colander and drain. Over medium heat, sauté chopped onion in 2 tablespoons of olive oil. When the onion turns translucent, stir in drained lamb, tomatoes, 1/2 cup of water, celery, bay leaf, 1 rounded teaspoon of sea salt, and 1/4 teaspoon of pepper. When it reaches a boil, cover and reduce heat to a simmer, cooking for 20 minutes. Taste and add more salt and pepper to your preference. In a saucepan, bring chicken broth or stock to a boil. Remove bay leaf, and transfer the meat mixture to a greased baking or oven-safe casserole dish. Add boiling stock or broth and stir in the pasta. Cook uncovered in the oven at 390°F (200°C) for about 40 minutes, until the pasta is done and almost the liquid has been absorbed. Stir once or twice during cooking. Remove pot from the oven and cover with a cotton towel for 20 minutes (to absorb excess moisture). Stir in the fresh parsley just before serving, and add an optional topping of grated cheese. Alternative with Ground Beef: Leave out the celery, bay leaf, chicken broth or stock and substitute with 4-5 whole cloves, 1 stick of cinnamon, and beef broth.